1 living room, 1 kitchen, 1 bathroom. 1 bed 2 people + 1 bunk bed. 1 table with 4 chairs. The advantages of this accommodation: ski-in, TV and ski locker. 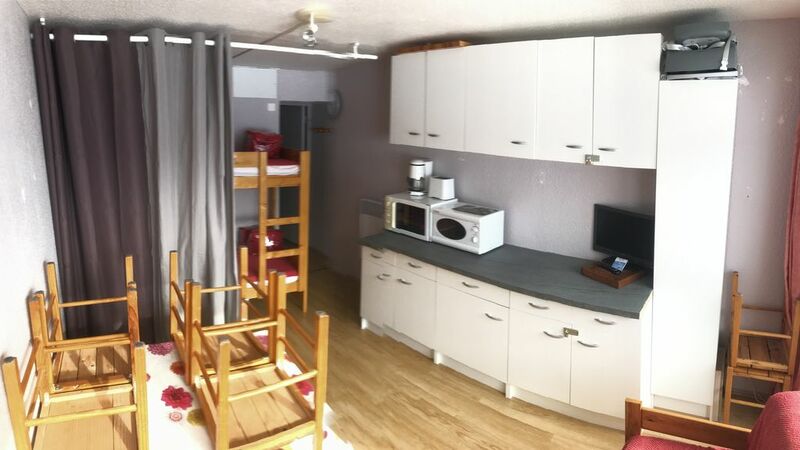 Fully equipped kitchen: fridge, hob, microwave, coffee maker, crockery and cutlery, raclette grill. Baby equipment provided: cot with mattress (without sheets), babytop chair booster with removable shelf of 6 months. To note: animals not allowed. Bonne semaine, station agreable et familiale . Appartement fonctionnel et accueillant . Appartement bien équipé, four + micro ondes, machine à laver et tous les ustensiles de cuisine.